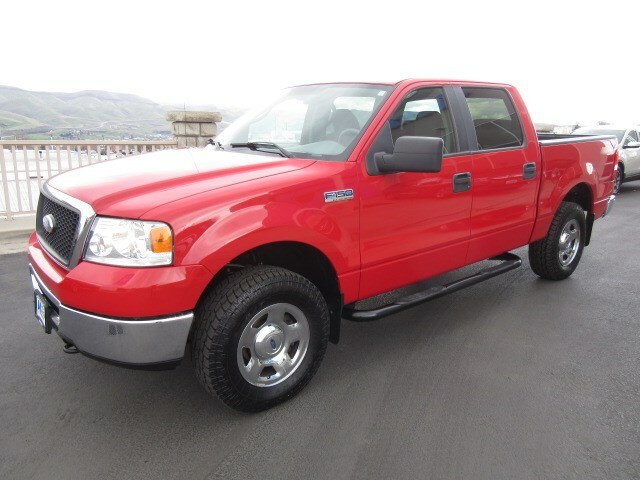 Our 2007 Ford F-150 XLT SuperCrew is a great truck for mixing work and play, plus it has the stellar good looks to pull up at Caesars Palace and valet park in front for all to see. The 5.4 Liter V8 will keep you humming along the open road...smooth as silk. This SuperCrew is equipped with a very nice stereo system, loads of airbags, ABS, illuminated entry, an outside temp gauge, power features, and lots more! Check Out Our Pictures! The quad door design makes it easy to load up the family, all your necessary gear, and travel in true comfort. With ample and comfortable seating for up to 6 people... Load 'er up and get going! This machine stands up to the Built Ford Tough slogan! And...it looks fabulous at the same time! Print this page and call us Now... We Know You Will Enjoy Your Test Drive Towards Ownership!